It didn’t take long for the Robinsons to get started on plans for exploring the outside world. They would only advance a few miles each day in order to set up a camp and explore the surrounding area. 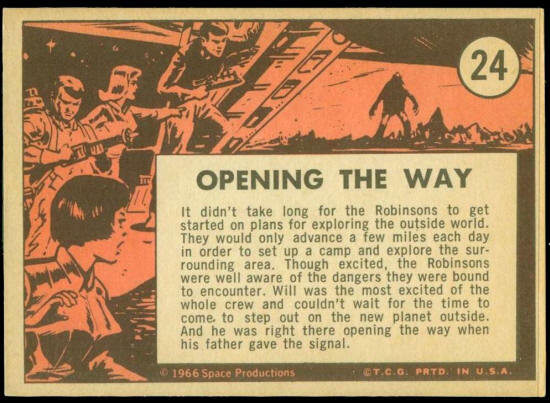 Though excited, the Robinsons were well aware of the dangers they were bound to encounter. Will was the most excited of the whole crew and couldn’t wait for the time to come to step out on the new planet outside. 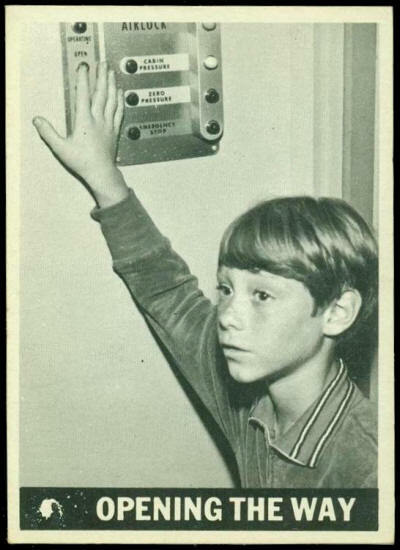 And he was right there opening the way when his father gave the signal.